IN THIS EPISODE: The latest from Washington, DC in the wake of the post mid-term elections, A decision by the Board of Governors that will impact the price adjustments for 2019, and an overview of the 2019 promotions and the exciting opportunities they present for mailers and the mailing industry. Chris: On today's podcast. We'll hear the latest in Washington DC in the wake of the post midterm elections, the decision by the board of governors that will impact the price adjustments for 2019 and an overview of the 2019 promotions and the exciting opportunities they present for mailers in the mailing industry. So let's get into it. Welcome to the podcast. Good morning, Anita. Anita: Good morning, Chris. Good morning everyone. How are you? Chris: I'm doing great, thank you. You know, we made it. Anita, we made it past the midterm elections. They're over and just looking at the data, that processed through our data center here at BCC Software, it was an interesting election. We processed over 3.7 billion names and addresses in October alone, Anita, 3.7 billion. It was the largest volume of data that we've processed in a single month and certainly I really believe it's related to the political mailing, a lot of delivery sequence file or DSF processing was part of that, which means a lot of saturation mailings and you know, as you look at the results of the midterm election, Anita voter turnout was pretty high, so I think more and more candidates and so forth are using mail as a way to be able to get their message out and probably just to kind of go away from a lot of the other noise that people are getting in other forms of media. So hopefully for the postal service saturation mail and political mailings turns out to be a good thing. And in the case of BCC Software, we saw a huge increase. 3.7 billion. That's pretty impressive. Anita: That's pretty impressive. I agree. And if my mailbox is any evidence, I got so much political mail, I'm sure you did too. Chris: There's a lot in there and it's not just, you know, on the national level there's a lot of local elections, but certainly it underscores that mail is a powerful way to communicate to people. It's an interesting way to get the message out and in the wake of the midterm elections, that also had an impact on the industry as a whole, right? Some changes are going on in Washington DC now is a result of this. Anita: And we may see that because in order for any legislation or any postal-related bills to pass in this congress, the probably be attached to some, you know, must-pass bill like spending. Chris: That's often what happens. Anita: Yeah, your point's a good one because it's not going to be comprehensive reform. We know that there's just not enough time so we'll see what happens, but we'll have to watch that really closely. Chris: Absolutely, and I'm kind of encouraged that at least some familiar names and those of our listeners that don't watch the hearing committees and so forth online. They really should because they're very interesting to watch in effect at some. Sometimes they get kind of interesting, but some of the people that you mentioned have been involved with postal legislation for some time, so hopefully depending on who the speaker of the house is going to be because that will also determine who's going to chair some of these subcommittees, but if it is representative Elijah Cummings, at least he's familiar with what's going on with postal legislation is familiar with the situation and hopefully that helps expedite some legislative change. If it doesn't happen during lame duck next year, calendar year 2019 would be an opportune time to do it because if we roll into 2020 now we're at the beginning of what would be a presidential election and that's usually not a favorable time to discuss postal legislation. Anita: Right. You know there's going to be a new chairman of the ways and means committee too. So I think the Democrats may not be as opposed to Medicare integration as Kevin Brady was, so. Chris: Okay. That could. That could be interesting. Yeah, that's an important part of it. Okay. So what else is going on? Anita: Well, something that kind of slipped by us unnoticed is that Michael Kubayanda was voted out of committee. Our leaders or our listeners will probably recall that Michael is a potential PRC candidate Postal Regulatory Commissioner, so he has been voted out of committee and hopefully he'll see Senate confirmation before we end this session. So that's exciting. Chris: And that confirmation, just to be clear, is for the postal regulatory commission or as another Board of Governor Postal Regulatory Commission for the PRC. Okay. Anita: Correct. But now on the, you mentioned the Board of Governors, there are still three nominees. They have not finished the application process is my understanding. So for something to happen there by the end of year is pretty slim. I just don't see anything happening there, but we'll see. Andspeaking of the postal regulatory commission. Nothing yet from the PRC on the ten-year rate review. In fact, we're coming up on the two year anniversary of the beginning of the rate review process. So I've heard that. I've heard that the PMG has been sarcastically calling it the 12 year rate review. Chris: Well, I suppose we shouldn't laugh because it's important folks. I mean you know that that was intentionally put in the law because there were so many changes with the 2006 PAEA rule – Postal Accountability and Enhancement Act that we wanted to have a stop point after 10 years to take a breath, take a look and see if it's working. And certainly I think as an industry and the postal service included would say there are parts of that law and the rate making process that really aren't working very well. Anita: Right. But we certainly don't like what they proposed initially. So you know, in fact we could probably have a whole podcast on the possible scenarios coming out of the ten-ear rate review. But I don't think we have time now. Chris: So speaking of PRC and the price increase for 2019, my understanding is that they came out with sort of a comprehensive saying that it comports with the law, is that correct? Anita: Correct. Correct. So they have approved it. I don't think you mentioned in the introduction, the Board of Governors has recommended to delay. Do you want to talk about that Chris? Chris: Yeah. 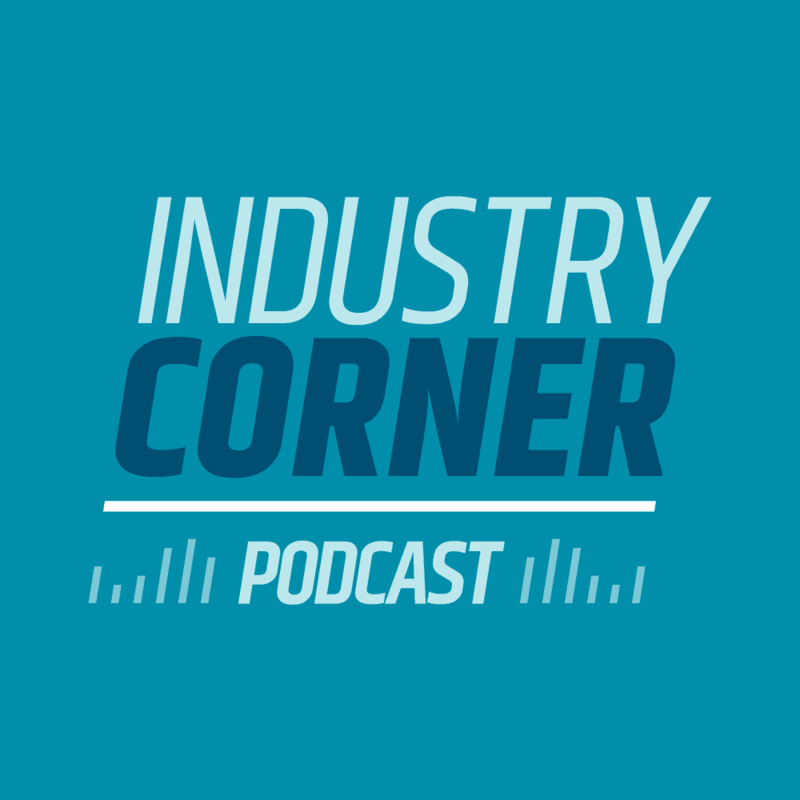 And uh, one of our prior podcast, we talked about the fact that there were a couple of groups within the industry, particularly larger parcel mailers, that were objecting to some of the changes that were proposed for the price adjustment in 2019 specifically some of the zone pricing for first class parcel as well as dimensional weight pricing for retail priority mail and so forth. So the Board of Governors has decided to bifurcate the price adjustment in 2019 into two different rate cases, a major one that will go into effect on January 27th. And that's what we've all been marching towards. In fact, BCC Software has been prepared to do the full price adjustment as it was originally published back in October 4th and now proved by the PRC, but because the board of governors have bifurcated this rate adjustment, it means we're going to have sort of this many update that's going to happen on June 23rd pending approval by the postal regulatory commission. They still have to agree with you on that decision, part of it, but since they've already given this comprehensive approval, I don't expect any delay with that, but I'm very disappointed. I have to say I'm disappointed that that we're bifurcating the price adjustment, and I mentioned this on a on a prior podcast because for a lot of the mailing service providers, they're the ones that have to update their software. I mean the software providers are going to make adjustments t.o our technology respectively. Regardless of who you work with for your software provider. We all have gone through this before we, you know, structure and adjust our, our development and roadmap programs so that we can have the software technology done before the January implementation. By bifurcating the price adjustment. What it does is it affects the roadmap so that rather than working on customer-facing enhancements and opportunities to expand the technology to reduce undeliverable as addressed mail to improve mail quality. Instead we're going to have to focus on sort of this mini update coming into that June timeframe that a lot of customers are going to have to implement. It also means the potential for risk because now they're going to have to install software before and after and kind of watch where that cutoff date is and and well, you know, when the case of BCC Software, not a lot of our customers are perhaps necessarily doing some of these types of, you know, this dimensional waiting provision that's being delayed. It's still presents a level of risk. So again, to recap for our listeners, the January 27 price adjustment is… Most of it's going to go in as it was planned, which includes the balloon pricing currently applying to the retail and commercial priority mail zones 1-4 and to commercial parcel select all zones and entities will be eliminated. And then the current dimensional waiting provisions for retail and commercial priority mail zones 5-9, those will be retained so they're going to go forward with that, but it's really the dimensional waiting provisions for retail and commercial priority mail and priority mail express and commercial parcel select for all zones and entries that's going to be delayed until June 23rd. So for the listeners, please, please watch any communication from your software provider. Make sure that you're aware of how they're going to be handling the before and the after for both January as well as June. And stay tuned for any other last minute decisions from the Board of Governors as we come into that. Hopefully there aren't too many other clarifications. Anita: Right. And hopefully going forward, the postal service will be more upfront about what they're thinking about because you know, if the industry had known they were considering this weighting four or five months ago, we wouldn't be in the situation. Chris: That's a fair point, Anita. And while you know, again, as I mentioned before, the software providers, we already know how to calculate zones. We already know how to calculate dimensional weight, so it's relatively straightforward for us to take part of the software technology that does that and apply it to a different area, but if you're applying something new like that to people that write their own software or they've got systems in place that depend upon sort of this normalcy with it, it can be very disruptive. So I agree with you advanced notification on that. I know we don't have time in this podcast to talk about the ALPS, which is Advanced Letter Processing System, but there again, that's another example of where the postal service proposing something but really didn't think about including the industry early enough for us to be able to provide some feedback and some guidance on it. So perhaps in a future podcast we can talk a little bit more about the ALPS. Anita: Not the Swiss Alps. Chris: That is first class only and that's primarily Anita because that's predominantly what transactional mail pieces are, you know, bills and statements and things, so that kind of makes sense and mobile shopping promotions and other one that's coming back. Then very successful, that's going to run from August first to December 31st taking advantage of that fall mailing season for marketing mail and letters and flats. And then finally the Informed Delivery promotion. You know the postal service continues to put a lot of investment in informed delivery and awareness on that. So this is a promotion that's all centered around leveraging the informed delivery program as part of a multichannel marketing effort. It's going to run from September first to November 30th. So again, this is a fall mailing season Informed delivery promotion. People that are interested can sign up as early as July 15th. It's for first class mail and marketing mail letters and flats. I know I'm seeing a lot of color replacement images in my daily informed delivery feed, so I think this is a great opportunity for innovative and forward thinking marketers that are looking to tie together the high touch of mail with high tech communication for part of their multichannel marketing. So again, another interesting opportunity for promotions with informed delivery. Anita: Well let me just add a couple of things to that. Chris. First of all, with the exception of earned value, which is a three cent per discount, all of the ones that you just went over are all upfront discounts. The two percent. So that remains pretty constant. And then also back in 2016 is when we had the last promotions back then the informed delivery promotion was part of mobile shopping. So now it's a separate promotion by itself, so it doesn't include that requirement to be able to shop. Chris: Okay. That's a great clarification. Anita: But let me just mention one more thing before we close. Did you hear the recent story on informed delivery fraud occurring? Anita: I think it's a really serious situation. Down in Florida there were at least two dozen cases where thieves were opening up fraudulent credit card accounts and then following up with signing up for informed delivery for that household and then monitoring when the credit card was going to be delivered. So very, very clever. Very scary. I think people are kind of jokingly saying, you know, you better sign up for informed delivery before somebody signs up for you. Anita: Exactly right, so informed delivery wasn't the vehicle for the actual fraudulent behavior, it just assisted them in knowing. Instead of going to the mailbox every day, they could be literally watch their emails and say, okay, it's coming today and they could steal the credit card from the mailbox so… The postal service is aware of it or you can bet the inspection service is on top of it, but beginning in January there's going to be a new method of authentication. I think there'll be looking at my email address, your physical address and the phone number. So if, for example, you've had the same email address, you've had the same physical location, the same phone number for a long time, then authentication will be very easy. If you've moved recently then you might be required to do in person proofing. So that's going to be new, but I'm sure we're going to hear a lot more about this. Um, maybe at MTAC next week. Chris: Yeah, that's true. And hopefully improvements to security which are necessary. It sounds like in the wake of this, don't become too onerous for people to sign up for informed delivery because I think there's a future and it's an exciting thing for marketers to consider. We need a lot more people sign up for the daily email digest, but I agree that hopefully we'll hear more about that at MTAC. Chris: Alright. Well thank you, Anita. I appreciate all the great information, as always. Anita: Thank you, Chris. You too. Chris: All right, and thanks to our listeners, if you have any questions or concerns or would just like give us some feedback, please visit BCCsoftware.com or give us a phone call. As always, we'd like to know how can we help? Chris: Have a great day, everyone.